Is there anyone anywhere who actually likes to clean toilets? But I sure do like these little homemade toilet bombs. They clean, they fizz, they freshen. They even get rid of stains and disinfect. All I have to do is drop one or two in the toilet bowl and they do pretty much all the work for me. 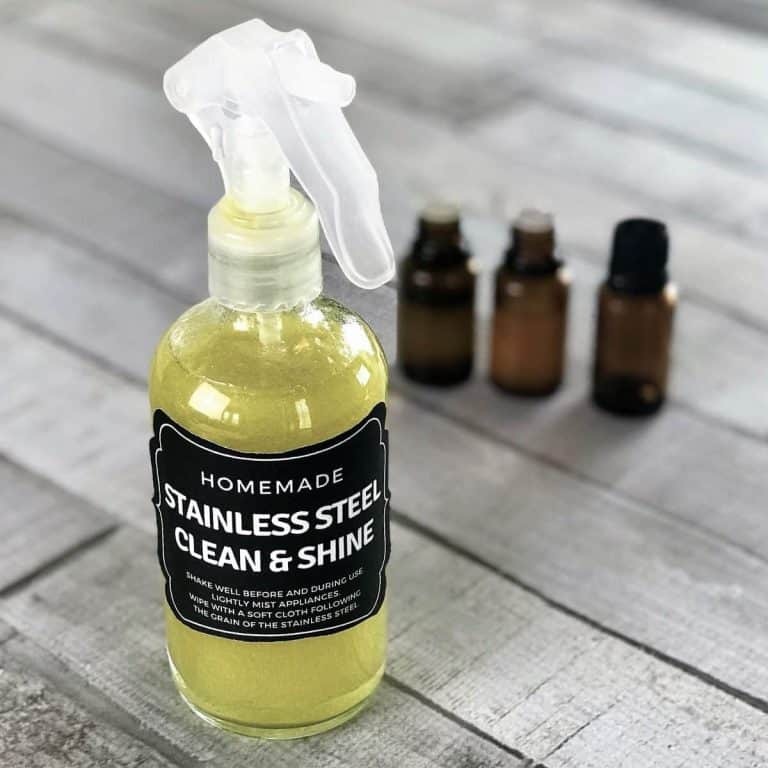 My toilets are left shiny, sparking, and smelling like a lemon tree (thanks to the lemon essential oil). 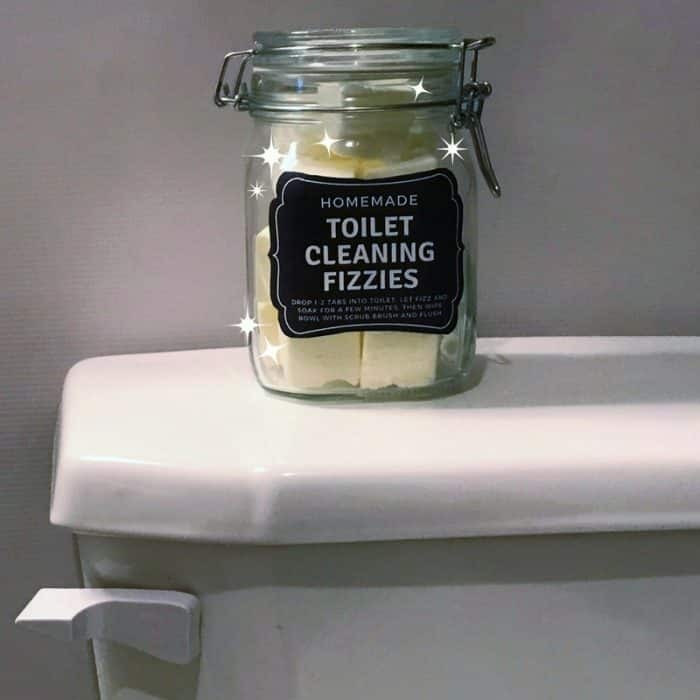 Even I can get into cleaning with these little toilet cleaning fizzies. 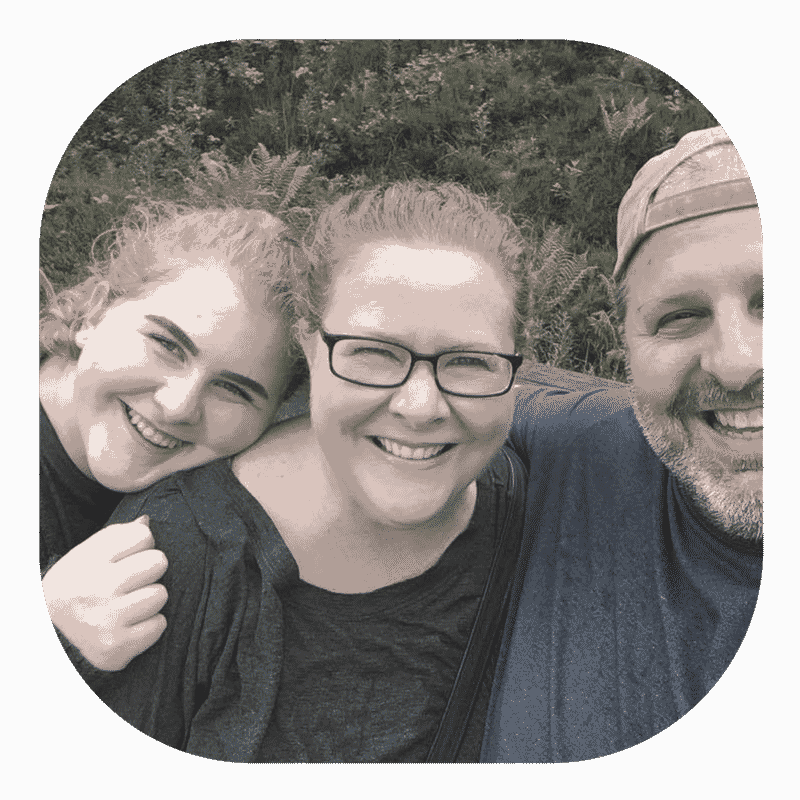 Fun– yes, I said fun. These little beauties are like a bath bomb for your toilet. 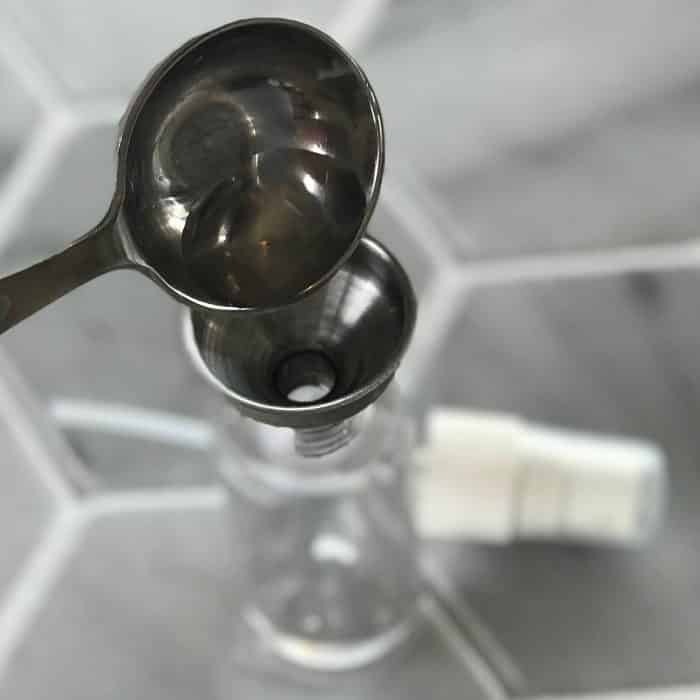 Drop 1-2 in the bowl and they fizz up, cleaning your toilet as it foams. Easy to Make – just mix a few ingredients together, press into ice cube trays, and let dry. That’s it. Super easy to whip up in just a few minutes. 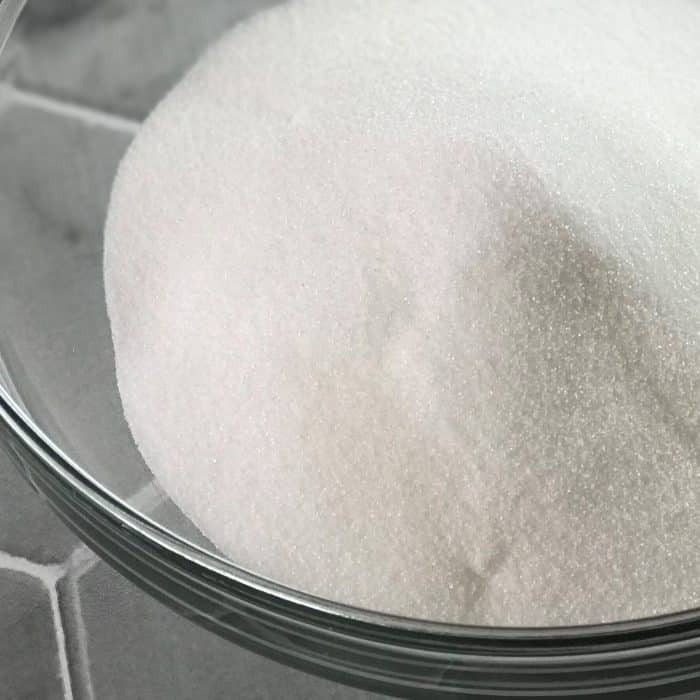 Eliminate toilet stains – the baking soda is a mild abrasive, and the citric acid helps remove hard water stains, calcium deposit, lime, and rust. baking soda– Baking soda gently cleans and whitens. 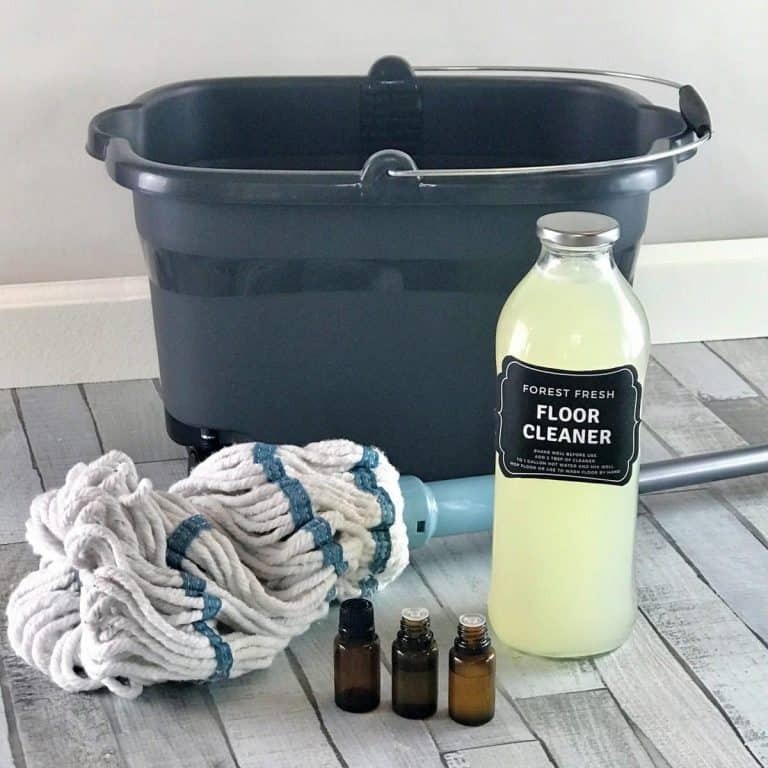 It naturally cleans and eliminates toilet odors. And it’s a mild abrasive so it helps clean and scrub the toilet bowl. I get this is a giant bag at Costco, but you can also pick up a small box in the baking aisle of your grocery store. 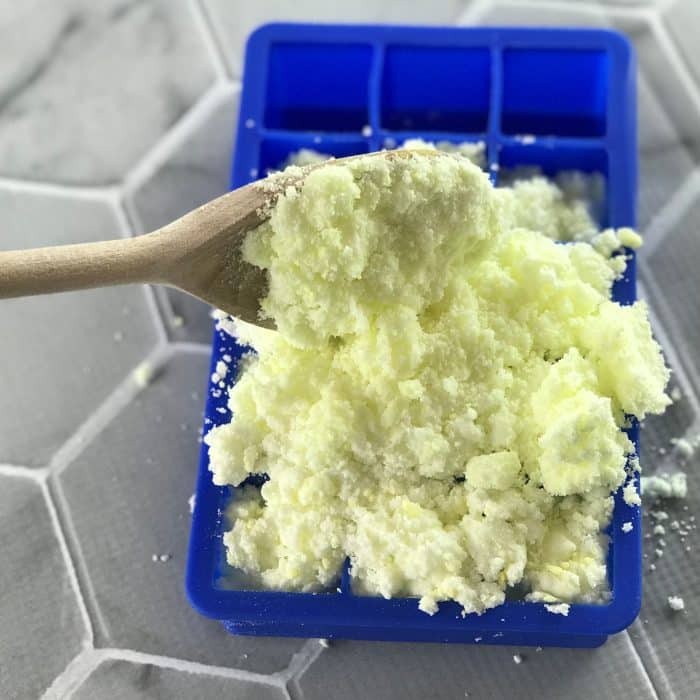 citric acid– When citric acid combines with baking soda and they get wet (with water from the toilet bowl), they fizz and foam up, helping to clean the toilet. Citric acid helps remove hard water stains, calcium deposits, lime, and rust. I get my citric acid here. hydrogen peroxide– cleans, sanitizes, and disinfects. Find in the pharmacy section of Walmart, Target, or your drug store. 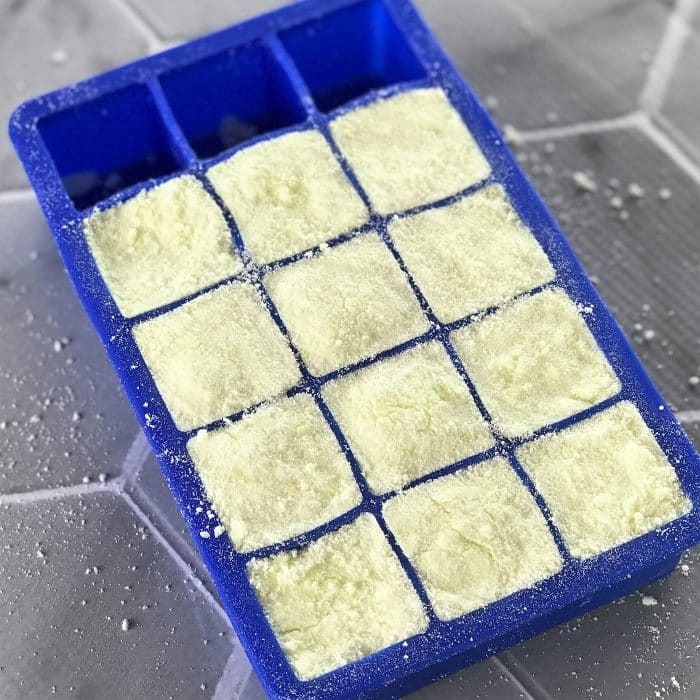 silicone ice cube tray- you can find them in craft stores, Walmart, or Target. I got mine here. 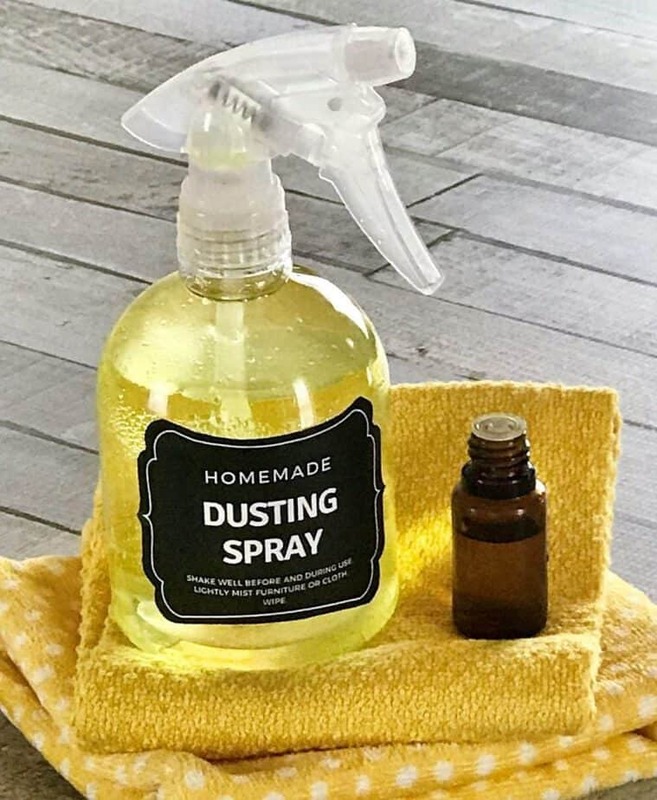 small spray bottle (optional)- any spray bottle will work. Prices can change, but right now these from Amazon are a great deal. 3 for only $1.59 with free shipping. airtight storage container – looks for jars or containers that are made from plastic #1 PET or plastic #2 HPDE. These types of plastics are safe for use with diluted essential oils and are also safer than glass for fizzy bombs like these made with baking soda and citric acid. You can usually find jars like this at Walmart and Target. Or you can find them online here. 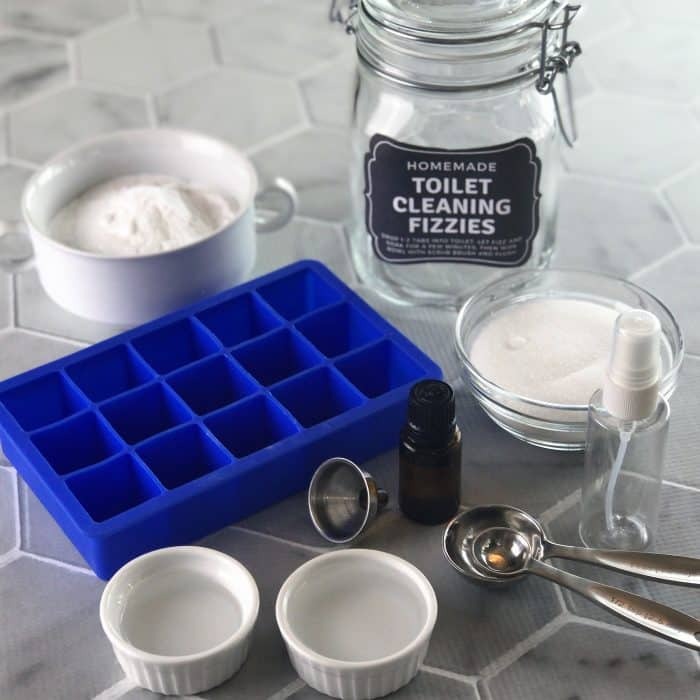 How to make toilet cleaning fizzies with essential oil? step 4: I like to put the liquid part of the recipe in a small spray bottle so that I can easily control how much liquid I add. To do this, add 1/2 teaspoon white vinegar and 1 tablespoon hydrogen peroxide (3% kind) to a small spray bottle. step 5: slowly spray vinegar/hydrogen peroxide onto dry mixture. 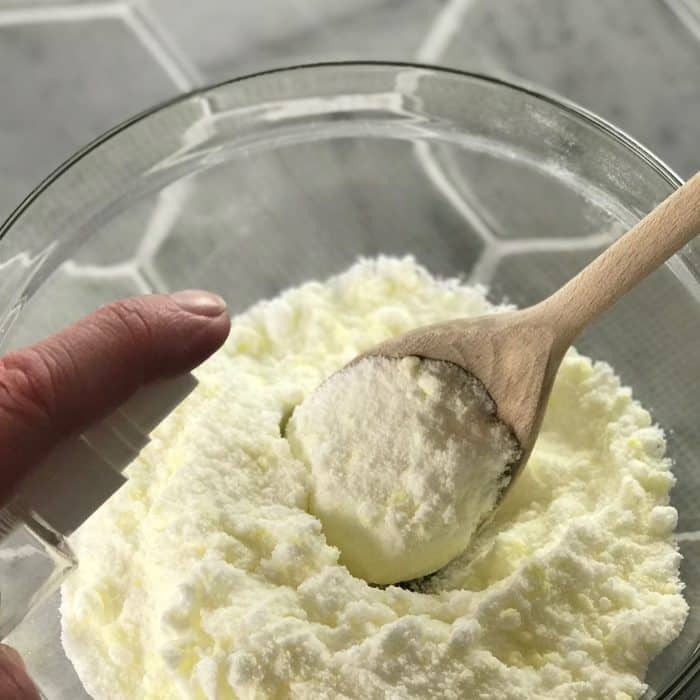 You don’t want it to get too wet too quickly because that will activate the baking soda and citric acid, causing it to foam up a lot in the mixing bowl. It will foam up a little when you add the liquid, and that’s okay. 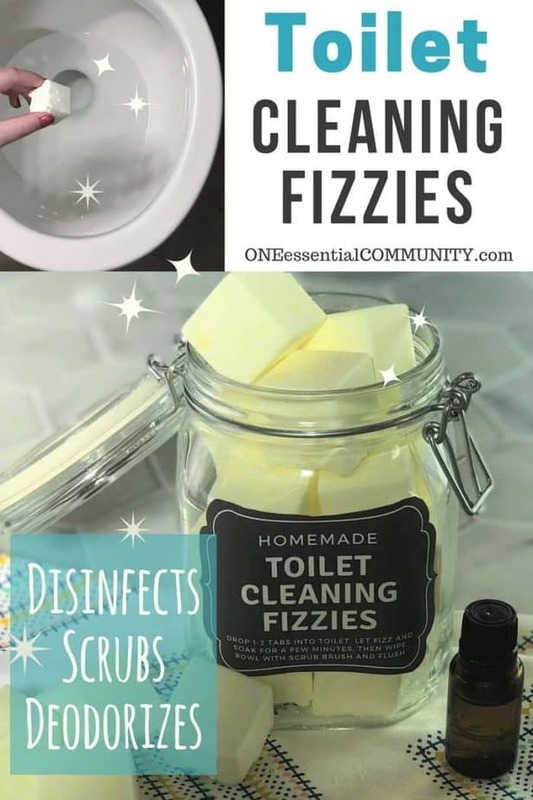 But if it gets too wet and fully activates in the mixing bowl, then it won’t react and fizz in the toilet bowl, which is where you want its fizzy, foamy cleaning power to happen. Stir as you spray so that you can tell how the mixture is coming together. You may not need to use all the vinegar/hydrogen peroxide. You’ve added enough when it feels like slightly damp (not wet) sand. It should clump together when you squeeze it into a ball, but it should also break apart easily when you drop it into the bowl. 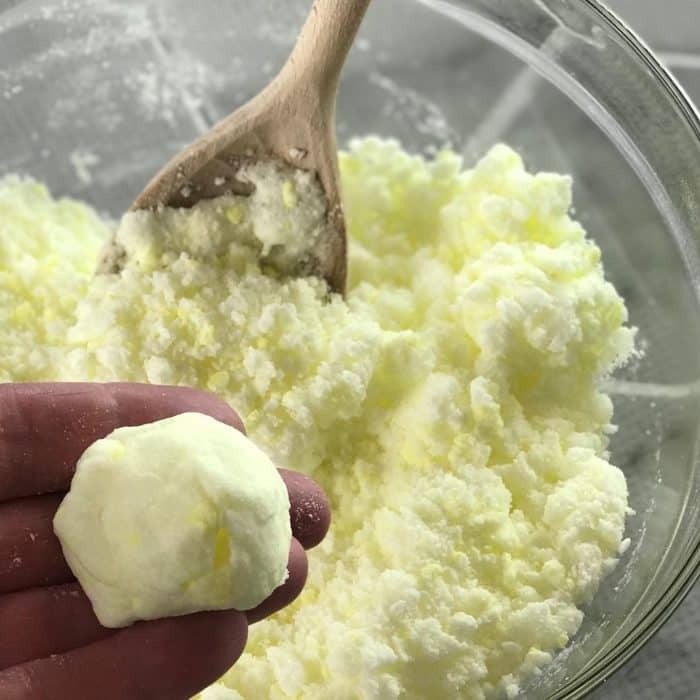 If it doesn’t break apart easily when you drop the clump into the bowl, then the mixture is too wet, to correct it, add a little more baking soda and citric acid. step 6: scoop fizzy mixture into silicone ice cube tray and press firmly into each opening. 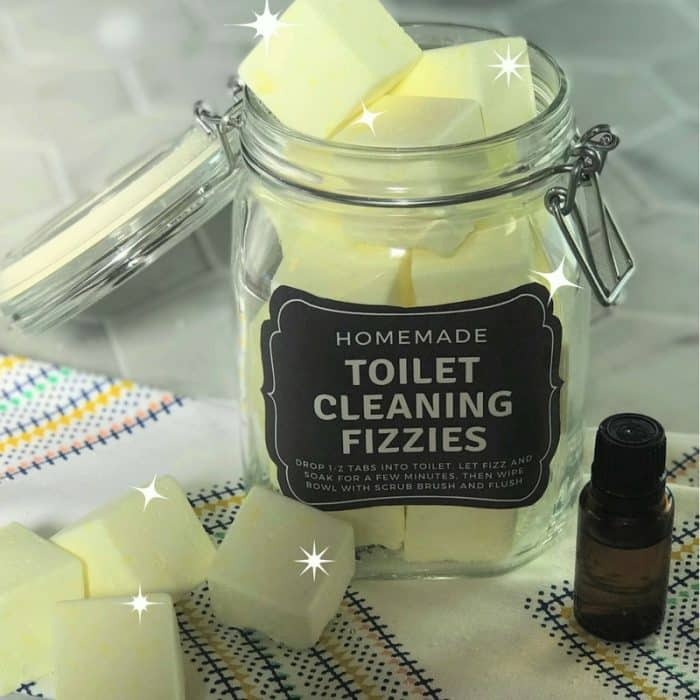 One batch should yield about 10-12 toilet cleaning fizzies. Let dry overnight (or up to 2-3 days, depending on the humidity in your home). Make sure completely dry before attempting to remove them from mold. step 7: store in an airtight container. 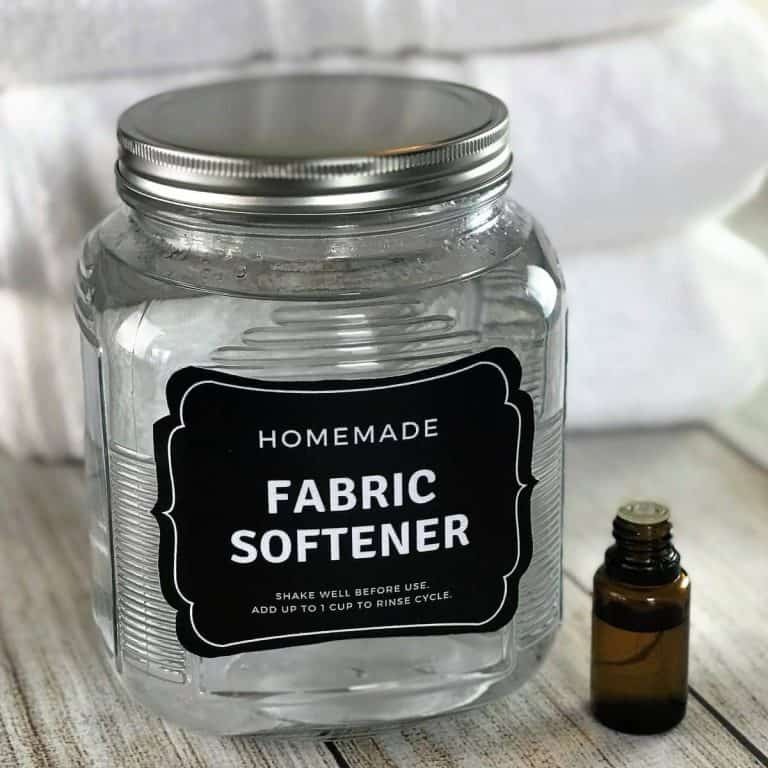 Plastic containers are great for these because if water/humidity get into the container, then the baking soda and citric acid can react causing them to expand (which could be dangerous with glass). 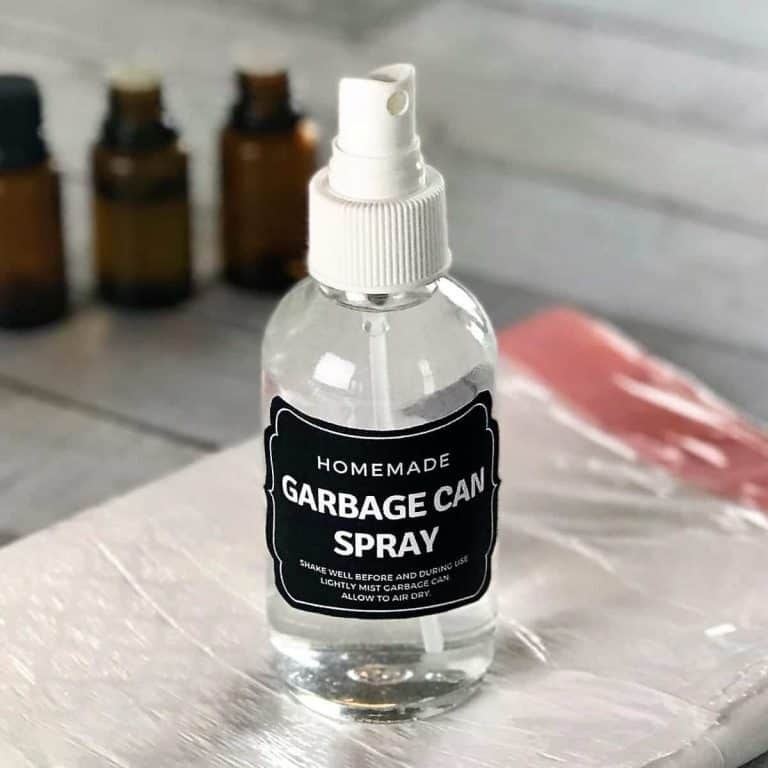 Look for PET plastic #1 or HDPE plastic #2 on the bottom of the container to make sure that it’s safe to use with essential oils. 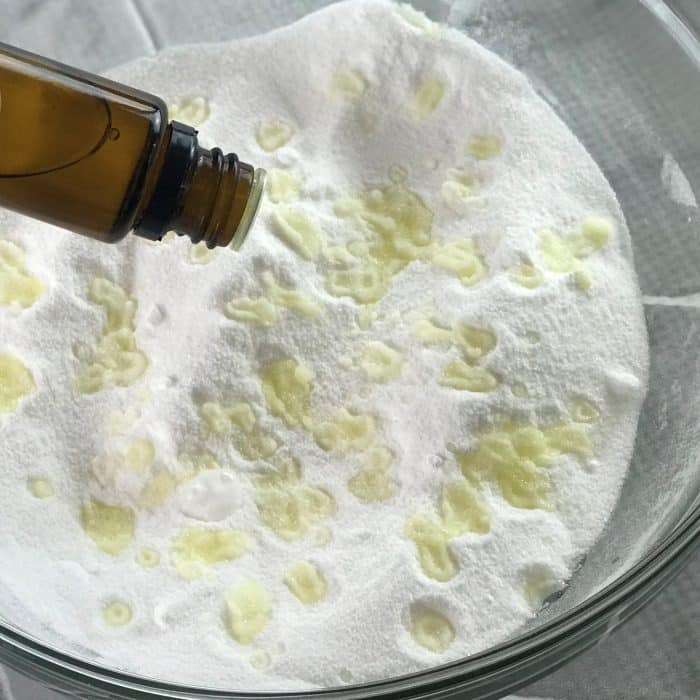 1) Add 1 cup baking soda, 1/2 cup citric acid, and 40 drops lemon essential oil to a mixing bowl. Mix well, breaking up any clumps with the back of your spoon. 3) Scoop fizzy mixture into silicone ice cube tray and press firmly into each opening. 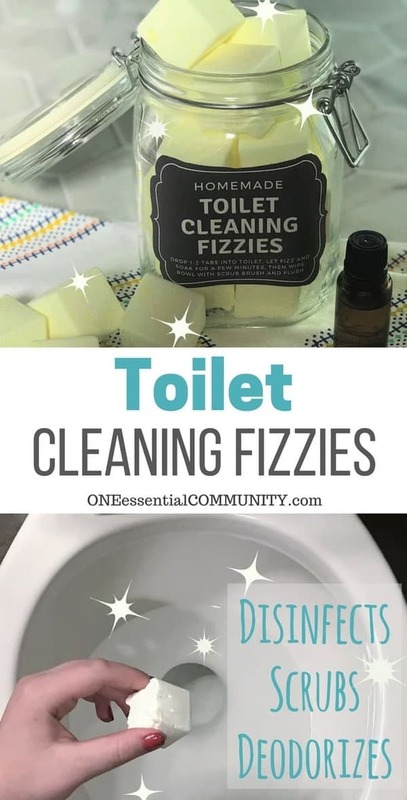 One batch should yield about 10-12 toilet cleaning fizzies. 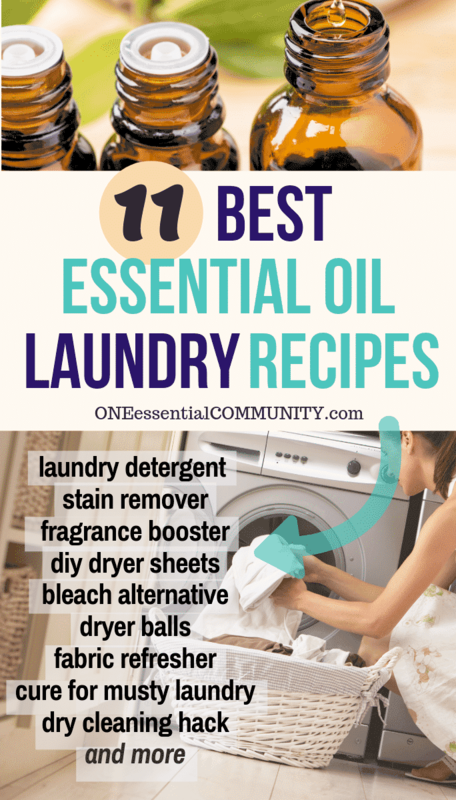 Let dry overnight (or up to 2-3 days, depending on the humidity in your home). Make sure completely dry before attempting to remove them from mold. 4) Store in an airtight plastic container (PET plastic #1 or HDPE plastic #2). 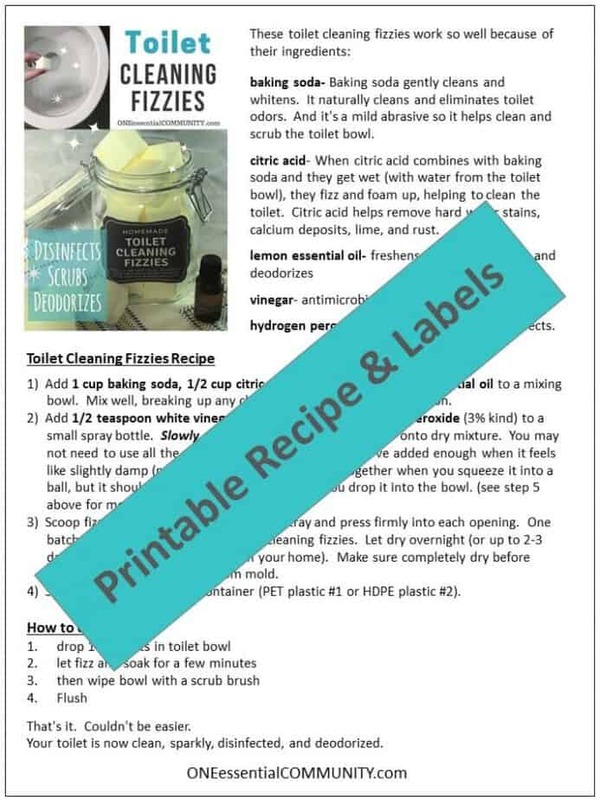 Click here for a printable of this recipe and free printable of the jar label. 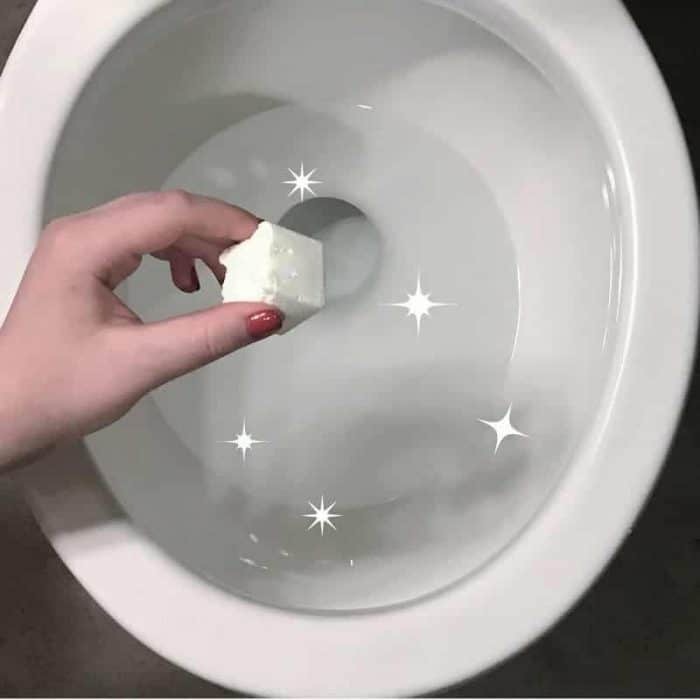 Your toilet is now clean, sparkly, disinfected, and deodorized. 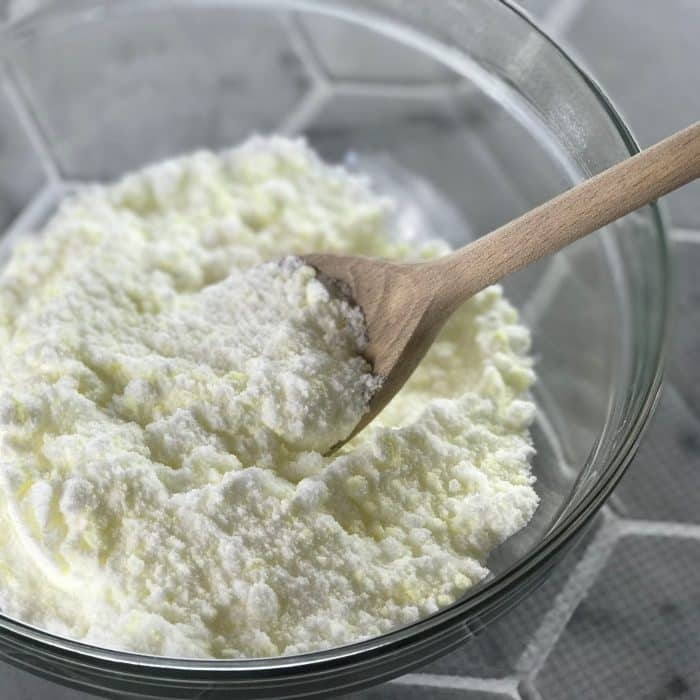 baking soda– I get this is a giant bag at Costco, but you can also pick up a small box in the baking aisle of your grocery store. citric acid– I get my citric acid here. hydrogen peroxide– Find in the pharmacy section of Walmart, Target, or your drug store.